Since mid-December, the Arab world has been rocked by popular uprisings that led to the exile of the president of Tunisia and the ouster of Egyptian President Hosni Mubarak. The Middle East – and the rest of the world – is watching to see if anger at authoritarian governments spreads and whether the region will be reshaped by the demands of ordinary citizens. Here is a look at the current political situation in countries in the region. 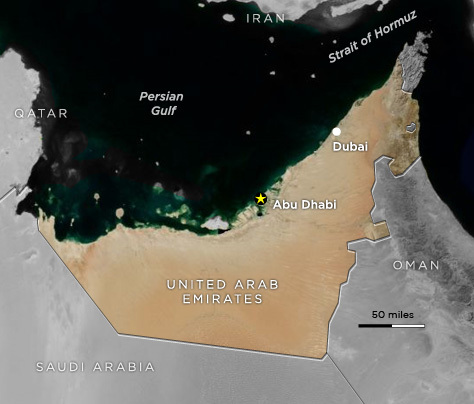 U.S. interests: The Persian Gulf island nation provides a key naval base for the U.S. Navy’s Fifth Fleet. A 1991 agreement also grants U.S. forces access to Bahraini facilities during future crises and the ability to pre-position materials. 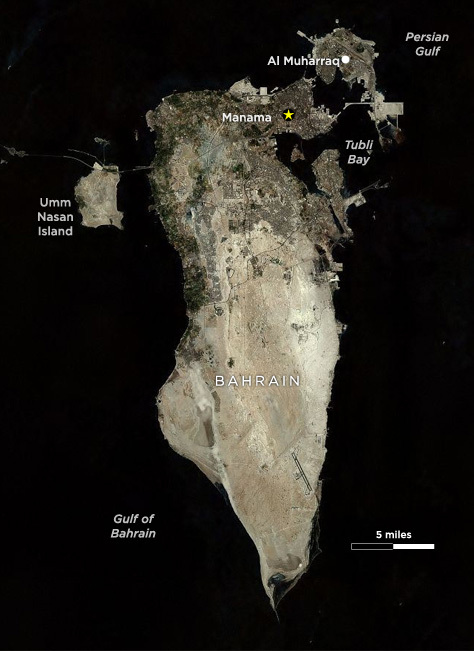 Bahrain is also an important U.S. listening post for Iran. Politics on the ground: Mubarak resigned as president and handed control to the military, bowing down after a historic 18-day wave of pro-democracy demonstrations by hundreds of thousands. Egypt's military rulers swear in a new Cabinet that replaces several Mubarak-era ministers. U.S. interests: An important military and security partner, a role that grew out of Egypt’s 1979 Peace Treaty with Israel. The U.S. provides massive military and economic aid. Egypt hosts military exercises and regular visits by the U.S. 6th fleet. 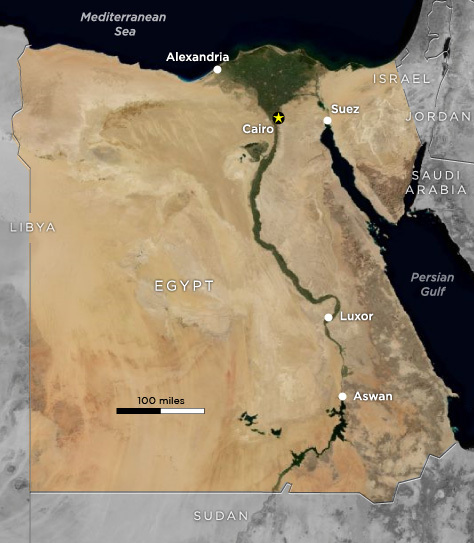 It also controls the Suez Canal, a key conduit for military and trade vessels between the Mediterranean Sea and the Red Sea. 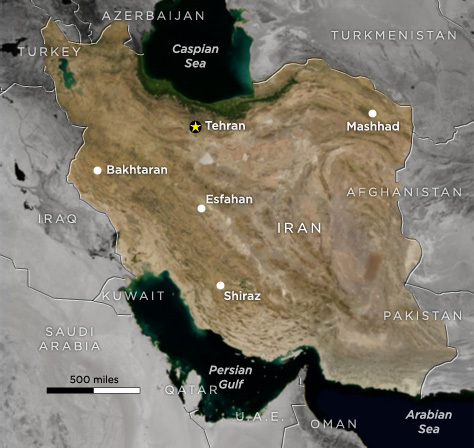 U.S. interests: Iran is notable for its large size and population, central location in the region and large oil reserves. U.S.-Iran ties have been rocky since the 1979 Islamic Revolution, which ousted Mohammed Reza Shah Pahlavi, then the strongest U.S. ally in the region. The ensuing hostage crisis — in which U.S. diplomats were held by radical Islamic students -- led to a break in diplomatic relations, which have not been restored. U.S. and many allies maintain economic sanctions on Iran for sponsorship of terrorism, nuclear weapons ambitions and human rights abuses, all accusations that Iran denies. Iran does not recognize Israel’s right to exist, and the tension between Iran and Israel is a threat to regional stability. Politics on the ground: Maliki struggled to control a fractious government forged of fragile alliances. But in the last two years he has emerged stronger after sending the army to fight Shiite militias and presiding over a sharp fall in overall violence. Still, Maliki has turned many former allies into foes. He bristled at criticism in 2007 from U.S. lawmakers and has difficult relations with some U.S. military officials in Iraq. He harbors evident hatred of the Saddam regime, which repressed Iraq's Shiite majority and assassinated many of his political colleagues. 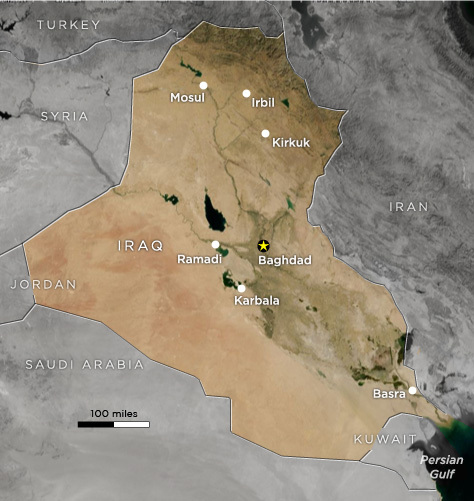 Many Sunnis fear Maliki has little interest in giving them a fair share of power. U.S. interests: Eight years after the start of the Iraq war, the United States still has about 50,000 troops in the country assigned to non-combat operations, with plans to remove them by December 2011. U.S. and Iraqi forces have made strides against al-Qaida in Iraq, and the U.S. also has an interest in countering the influence of Iran. U.S. interests: Much of the anti-American feeling in the Mideast stems from the United States’ long-standing “special relationship” with Israel, which receives about $3 billion a year in U.S. assistance. President Obama has said that Arab-Israeli peace is a “vital national security interest” to the United States. 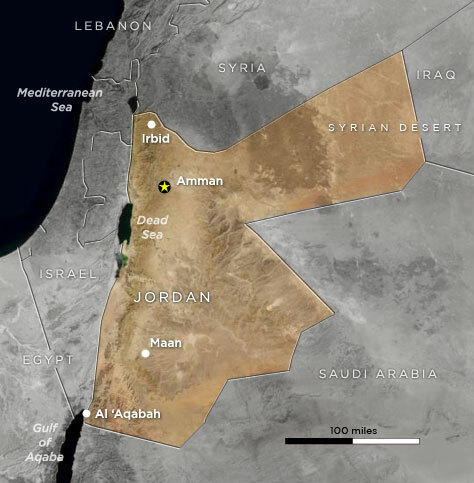 U.S. interests: The government of Jordan has been consistently pro-Western with close ties to the United States. Since the 2003 fall of the Iraqi regime, Jordan aided the U.S. effort to restore stability there by allowing the training of more than 50,000 Iraqi police officers in a facility near Amman. In 1994, Jordan signed a peace treaty with Israel, and is engaged in talks on a wide range of issues, including water sharing, finance and security. U.S. interests: The United States went to war in the Gulf in 1991 after Iraq seized Kuwait. 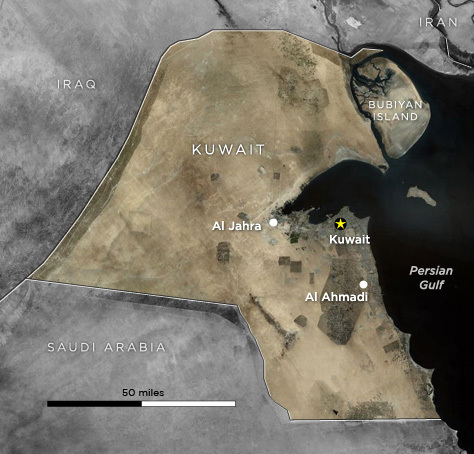 The U.S.-Kuwaiti relationship has remained strong since then, and Kuwait was the main staging area for U.S. troops before the start of the Iraq war in 2003. The U.S. maintains troops at Camp Arifjan south of Kuwait City. 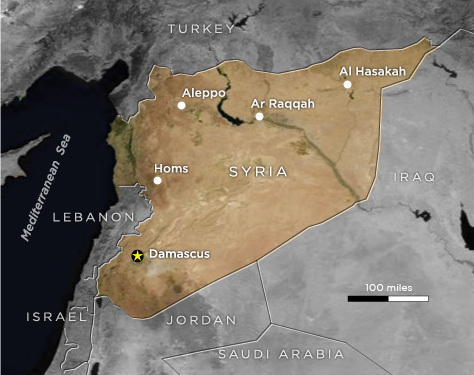 U.S. interests: With the collapse of a coalition government in January, the United States is concerned about the rise of Hezbollah and resurgent Syrian influence. Politics on the ground: Moammar Gadhafi seized power by coup in 1967, supplanting a Western-backed constitutional monarchy, and proclaiming the new Libyan Arab Republic. Although Gadhafi gave up formal leadership titles — the official press refers to him as "Brother Leader and Guide of the Revolution" — he is said to wield almost complete authority, either directly or through manipulation of Libya’s socialist-style committees. The government controls the media and the judiciary and there is no right to a fair public trial. Political parties and trade unions are banned. Freedom of speech, press, assembly, association and religion are restricted. Although oil revenues and a small population give Libya one of the highest per capita GDPs in Africa, the government's mismanagement of the economy has led to high inflation and increased import prices, fueling discontent. 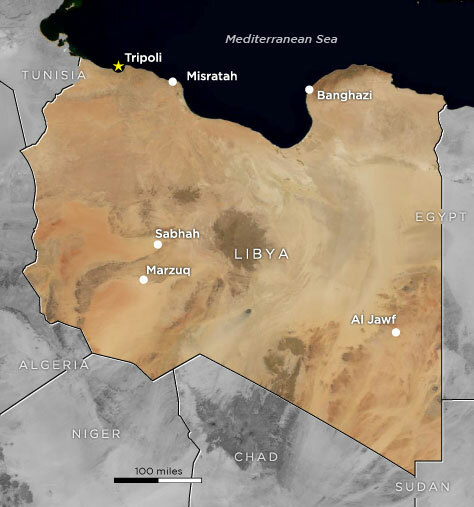 U.S. interests: Since the 1990s, Libya has been changing from a U.S. adversary on the Mediterranean Basin — subject to international sanctions — to a potential partner in counterterror, nuclear nonproliferation and energy development. After the 9/11 attacks on the United States, the warming trend has accelerated. Gadhafi — who has also been a target for Islamist extremists — rushed to become a partner in the U.S. war on terrorism, and distanced Libya from its own past as a sponsor of such acts of political violence. Libya also renounced its pursuit of nuclear weapons, leading the U.S. to restore diplomatic ties. Libya has nearly 44 billion barrels in proven oil reserves, and probably much more. Since U.S. and U.N. sanctions were lifted, major oil companies from the U.S. and elsewhere have started investing in the sector. Politics on the ground: Morocco is a constitutional monarchy with an elected parliament. The monarch holds vast executive powers, including the ability to dissolve parliament at will. Executive power is exercised by the government but more importantly by the king himself. Legislative power is vested in both the government and the two chambers of parliament. The king can also issue decrees that have the force of law. The current monarch, King Mohammed IV, 47, succeeded his father King Hassan, who died in 1999 after 38 years on the throne. U.S. Interests: One of the oldest and closest U.S. allies in the region and a moderate Arab state in a strategic location between northern Africa and Europe. 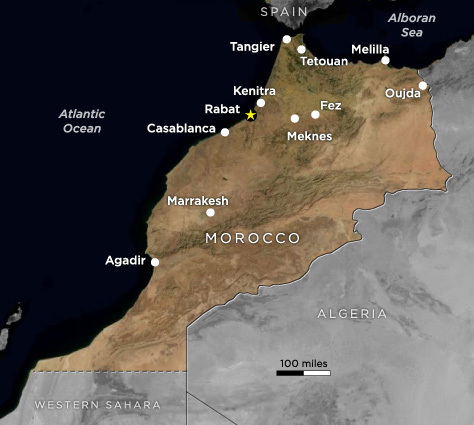 Morocco was quick to condemn the Sept. 2001 terrorist attacks on the United States has been a solid ally in counterterror efforts. 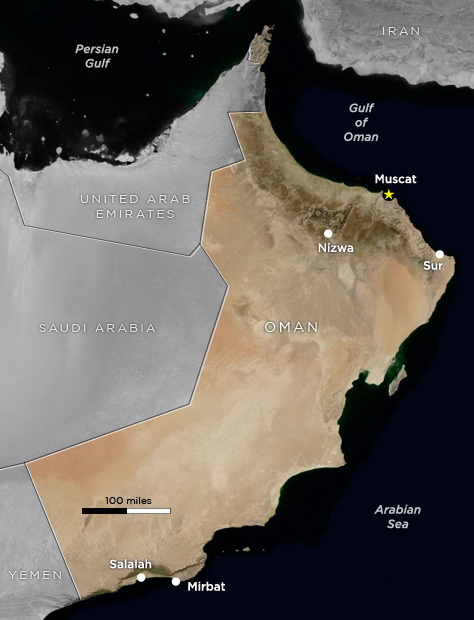 U.S. interests: Since 1980, the United States has had access to Omani military facilities. U.S. Interests: The United States has tried several times to broker peace between the Israelis and the Palestinians, and has provided support to the Palestinian Authority for security and counterterrorism efforts. 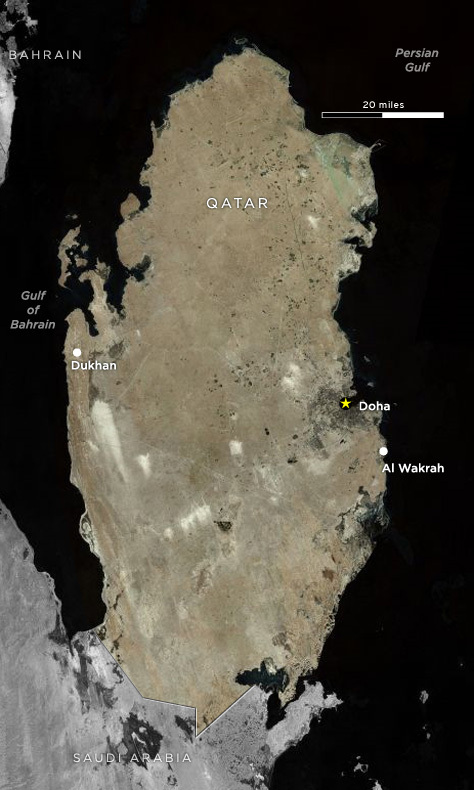 U.S. interests: The United States uses Al-Udeid Air Base, south of Doha, as headquarters for its air operations in the Middle East. U.S. interests: Saudi Arabia is an ally of the United States, and the U.S. has relied on it as a force for stability in the region. The United States also considers it a partner in the war on terrorism, although Saudi Arabia has been accused of funding militant groups; the nations’ relationship was strained during the investigation of the Sept. 11 attacks. 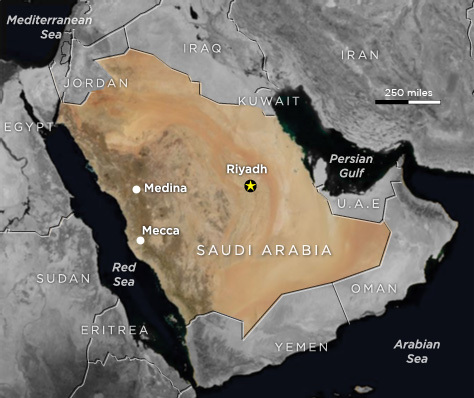 Saudi Arabia is a leading supplier of oil for the United States. 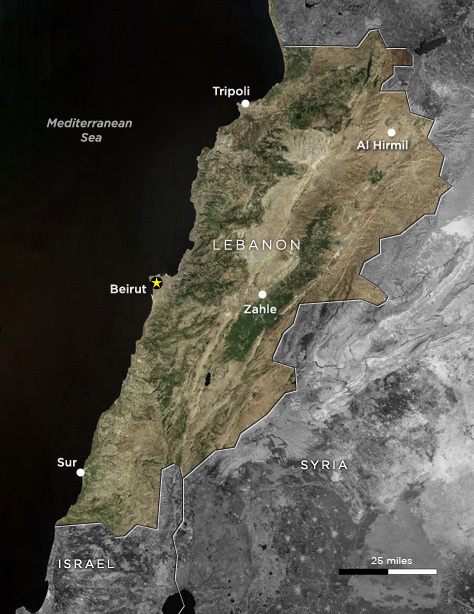 U.S. interests: Relations with the U.S. remain cool, with American officials concerned about Syrian interference in Lebanon’s affairs, human rights violations and its alleged pursuit of weapons of mass destruction. Politics on the ground: Tunisia is a constitutional republic, with a president serving as chief of state, prime minister as head of government, a bicameral legislature and a court system influenced by French civil law. 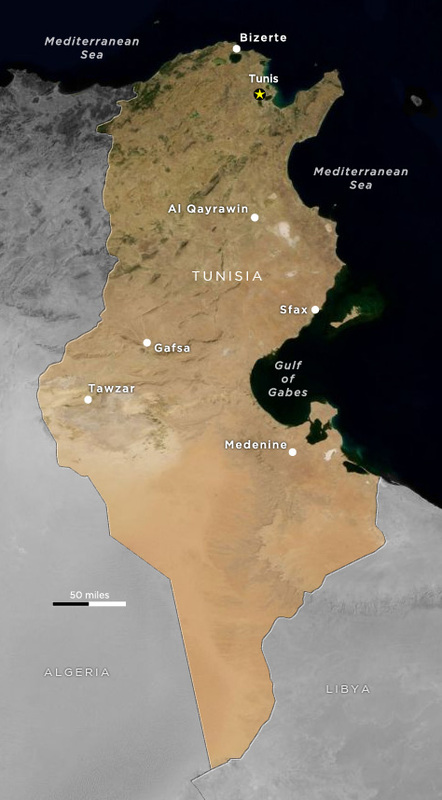 While Tunisia is formally a democracy with a multiparty system, the secular Constitutional Democratic Rally, or RCD, has controlled the country as one of the most repressive regimes in the Arab World since its independence in 1956. The 2009 elections, in which the RCD captured the most seats, were widely regarded as rigged and contributed to the unrest that ultimately forced President Zine El Abidine Ben Ali to give up power and flee the country. The Ministry of Interior officially announced the dissolution of the party on Feb 7. An interim government led by President Fouad Mebazaa is in place. U.S. interests: Tunisia is an active military and security partner with the U.S. It is a voice of moderation and realism in the region, and was among the first Arab nations to call for recognition of Israel. 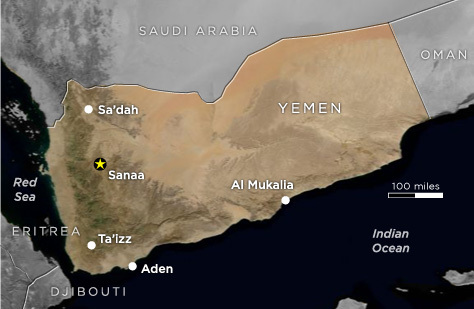 U.S. interests: Yemen’s government is a U.S. partner in counterterrorism, aiding military, diplomatic and financial actions to thwart terror groups. The U.S. and Yemen are waging a battle with an al-Qaida offshoot group in Yemen, which U.S. officials say has become a serious threat to the U.S.